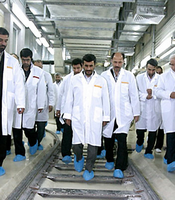 The International Atomic Energy Agency’s latest report on Iran’s nuclear program surprised no one, even as it created the usual flurry of op-eds championing preventative “next steps.” As I’ve been saying for the past half-decade, there are none. Once the U.S. went into both Iraq and Afghanistan, the question went from being, “How do we prevent Iran from getting the Bomb?” to “How do we handle Iran’s Bomb?” That shift represents neither defeatism nor appeasement. Rather, it reflects a realistic analysis of America’s strategic options. With that in mind, here are 20 reasons why Iran’s successful pursuit of the Bomb is not the system-changing event so many analysts are keen to portray.